Cover Verse: Christmas. Hearts reach out and memories come alive in the warmth of love. 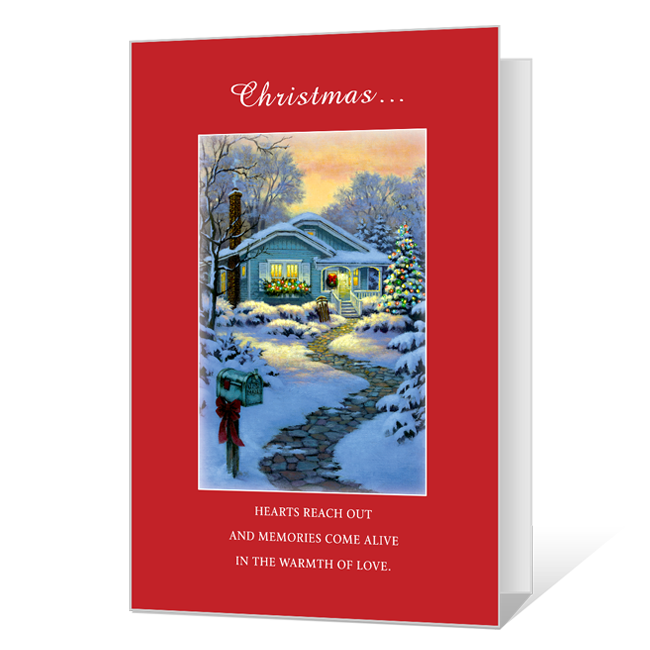 Inside Verse: Once again, it's Christmas, that delightful time of year, when hearts are filled with gratitude and homes are bright with cheer, when everyone's remembering good friends and loved ones too,so naturally, the warmest thoughts and wishes go to you. May your home be filled with happiness, your hearts with love, your days with joy-at Christmas and always. Merry Christmas.